From a small bath remodel to a brand new luxury home, Derks Construction can assist you with your residential building needs. If you don't see what you are looking for here, please contact us for a consultation. Chances are, we can help, or suggest someone who can. 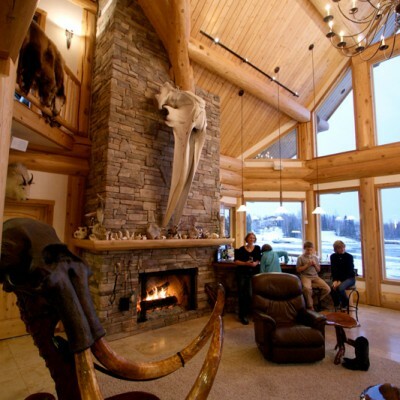 The term custom can be used to describe many different types of homes, from lofty log homes to sleek contemporary beach houses. What makes a home custom isn’t cost, but the desire to break the mold, create a space that fits your lifestyle, or differentiate your home from the house across the street. It doesn’t have to be a radical new design or contain rare materials or the latest technology. It just has to be you. We’ll help you get there. Whether remodeling a kitchen, a bath or your entire house, the process gives you the opportunity to make the space unique to your style and needs. With that comes a lot of possibilities. When you work with Derks Construction, you don’t just hire a contractor to build your design, you hire a partner to help craft a plan, guide you through the construction process, and point out new possibilities as the project progresses. In the end, the space will be truly yours with insight from a master carpenter. The most unassuming spaces in your home can often have the most impact on its overall charm and character. Many houses built in the 80’s, 90’s and early 2000s have “nooks” or alcoves where the TV and stereo went. 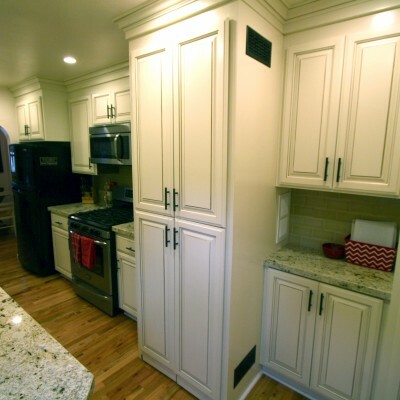 These spaces don’t fit today’s electronics and often times go unused or contain furniture that doesn’t fit properly. 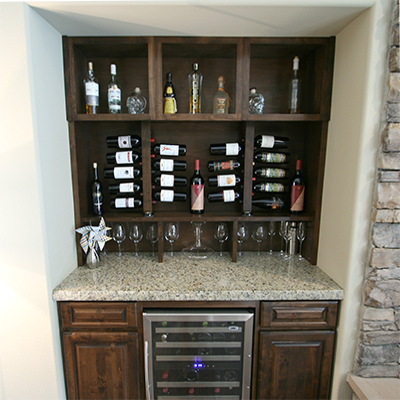 Nooks create an opportunity to take the least impressive part of your living room and make it the focal point with a custom built-in wine bar, lighted display cabinet or creative storage solution. We’d love to sit down with you to transform your unique spaces with custom built-ins that are the envy of all your neighbors.